If used correctly, OpenCL images / textures can give you large speedups on GPUs.  In this post, I’ll show you a very short example of how to use OpenCL to blur/smooth an image. The goal is to show how images/textures are used in OpenCL and the benefits of using them. The source code can be download from by GitHub page. where Z is a normalization constant equal to the sum of the mask. Most modern GPUs have a separate texture cache. These texture caches exists on GPUs because a lot of video games and 3D applications use texture mapping to map an image to 3D objects to create a realistic 3D scene. Textures are simply images, either 1, 2 or 3 dimensional. When a specific pixel in the texture is requested, the GPU will store the data and the neighboring data in a special buffer that is close to where the actual calculations are performed. Unlike regular linear storage buffers which only have caching in one dimension, textures can cache neighboring data in 2 or 3 dimensions. Thus, when a pixel is requested, the neighboring pixels above and below as well as those to the left and right are cached. Note that writing to a 3D texture from inside a kernel is not supported in OpenCL by default. It is enabled through an extension called cl_khr_3d_image_writes. AMD supports this extension, while NVIDIA does not. Data type conversion – The texture fetch units on the GPU can convert between different data types. Used with the suffixes of the read_image and write_image functions (f for float, i for integer and ui for unsigned integer). Normalized data types – These data types (CL_SNORM_INT8, CL_UNORM_INT8, CL_SNORM_INT16, CL_UNORM_INT16) can reduce the amount of memory used and transferred and may give you large speedups. Use them if you are using floats with a normalized range (0.0-1.0, -1.0-1.0) and accuracy is not that important. These data types store floats as a 16 or 8 bit integer in the texture and the texture fetch unit converts it to a float with a normalized range when requested. Out of bounds handling – Reading outside a texture will not create a seg fault. Instead, you can define what should be returned by the read_image function in the sampler (CLK_ADDRESS_CLAMP_TO_EDGE, CLK_ADDRESS_CLAMP, CLK_ADDRESS_NONE..). Channels – Each pixel in a texture can contain 1 to 4 channels. If you want to pack several values in each pixel this can be very useful. Defined in the creation of the image. 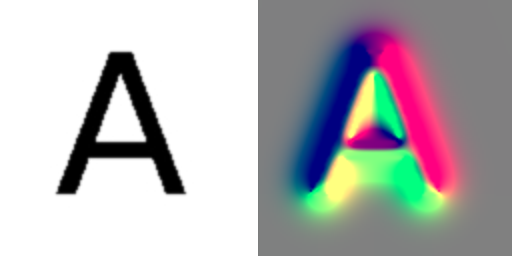 ImageFormat(CL_RGBA, CL_FLOAT) is for instance a 4 channel (RGBA: red, green, blue, alpha) image of floats. Another thing to note, is that you can only read OR write to a an image in an kernel. You can’t read and write to the same image. If you want to use images in several kernel calls after another I suggest using a dual buffering approach. When reading images you have to define a sampler which you can see in the first line in the code below. Normalized coordinates enables accessing the image using normalized floating point coordinates (0.0 to 1.0). CLK_ADDRESS_CLAMP_TO_EDGE means that if a pixel outside the image is requested, it will use the pixel value that is closest to the edge. The last flag CLK_FILTER_NEAREST instructs the fetch unit to fetch the pixel that is closest to the coordinate. The alternative is CLK_FILTER_LINEAR which fetches a linear approximation of the 4(2D) or 8(3D) closest pixels. For more info on samplers, see the specification. The host code is written in C++ and depends on two small libraries (SIPL and OpenCLUtilities). The function createBlurMask creates a Gaussian blur mask with a specific sigma. The mask size N, is calculated from the sigma. Larger sigma gives a larger mask size. The memory flag CL_MEM_COPY_HOST_PTR orders OpenCL to copy the contents of the last argument pointer to the the device. Each image is created with a specific image format using the ImageFormat class. The first argument is the channel format and the second is the data type. A list of all channel formats and data types can be found here. The rest should be self-explanatory. Hi, thanks for this useful example! Despite being a complete n00b I’ve been messing around with your code, trying to write a simple chroma keying algorithm. For this to work I need an RGB image passed to the kernel. But as soon as I change CL_R to CL_RGB in the Image2D(…) line, clCreateImage fails and terminates the program. Assuming that SIPL getData() provides or, at least can provide RGB values, what am I doing wrong? You should instead use CL_RGBA, where A stands for alpha channel (transparency). * If you import a color image with SIPL, you only get RGB, so you need to pad it with an extra channel to get in RGBA format as OpenCL requires this. I would like to know. how do you handle boundaries? The summation in the for loops is the convolution as described with the equation on the top of this page. Every element in the mask is multiplied with pixels in a neighborhood in the image (read_imagef). a and b are the neighborhood offset for the x and y direction. In the end, the sum is assigned to the new (blurred) image. Many Thanks for the headstart. 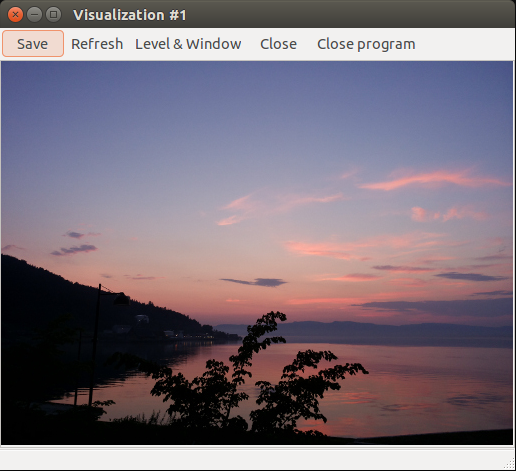 I used libjpeg to read the image file and then as suggested used clCreateImage2D to create an OpenCL image. Is the image object created with line below of type cl_mem? I would like to write the same piece of code in C and use clCreateImage2D function. But I am not sure how to create a reference to the file “lena.jpg” in C., i.e. how to create the same image object as described above using C.
That line reads the image from disk. Thus, first you need a way to read the image from disk. Then get the pixel data as an array and finally you can put the data in an OpenCL memory object. I can’t create correct context of correct device. I’m not sure I understand your problem. The program doesn’t work with ./blur –device gpu or ./blur –device cpu? I.e. the program can’t find any devices? It is same as mine version ( I use windows 8 64 bit) ,and the install instruction I have read. You have no solution to this,too? Or maybe I loss some important files? I had googled for severel weeks . What I sholud do? Can you give me your gtk+ packet? What kind of performance do you expect for a 1920×1080 grayscale image when running on a somewhat old NVIDIA GPU ( Quadro NVS 295 )? I added profiling and I measure it takes 14 seconds. Is this completely off or this is what I should expect? I can’t seem to get this to compile on OSX unless I replace the OCL vectors with std::vectors. Any idea why this is so? Or whether this is an issue? Ok, still having issues with this. When I create the Image2D, clCreateImage is throwing the error CL_INVALID_VALUE, and I can’t figure out why. Just putting this here in case anyone stumbles upon it. I was having issues with creating the Image2d on the device. I’m not sure why, but using the deprecated function clCreateImage2d, rather than using the constructor (which calls the newer clCreateImage) works for me. It may be because my device only supports an older version of OpenCL, but I’m not sure. I did not know Apple had implemented 1.2. Which version of OSX are you using? I have a question regarding the use of Image2D from OpenCL. Is it better to convert the image that I read in the host to an array and send this array to gpu to convolve it?. I am wondering which way will be faster?. On GPUs, using textures/images for this sort of operation is usually faster than using arrays/buffers. This is due to the caching mechanisms of textures. What are the benefits of using Image2D over Buffer? It looks like it has more restrictions and is harder to use. I assume it can provide better performance. If that is true, how? As it states in the text above, textures on GPUs are optimized for 2D(and 3D) spatial cache locality. Thus, using textures (called images in OpenCL) can increase the cache hit ratio which will speed up memory access. I think images are easier to use and have less restrictions than buffers. For instance reading outside a buffer gives undefined results while with images you can define the outcome yourself and thus won’t have to check if the address is out of bounds. Another thing you don’t have to do with images is address translations. If you have x and y coordinate you can just insert that directly to the function. You don’t have to do x+y*width to calculate a linear address. You forgot to include CMakeLists.txt in your repository, so it is impossible to compile your project. I’m new to CMake and OpenCL so it is not obvious for me how to create CMakeLists.txt from scratch. I really appreciate if you fix your repository by adding CMakeLists.txt to it. Thanks. Sorry about that. I have now added the CMakeLists.txt file to the github repo. mkdir images; cd images; wget http://myopencv.files.wordpress.com/2008/04/lena.jpg; cd ..
..and then the program hangs (if I just run ./blur the result is the same). I have NVidia GTX 295 and gcc 4.7.1 in case it matters. All I discovered so far that for some reason it hangs after saving the image. So, I get result.jpg, but the program cannot exit gracefully. Since I wanted to write my own image processing program based on your example with your library, I really need to solve this problem, but so far I could not find out why this happens. After this it just hangs with 0% CPU usage. But, as I have said, if I slowly step with gdb, this does not happen and it exits normally. Since you wrote SIPL library, perhaps you have any idea what might be the cause of this issue? If not, then perhaps you can give some clue how to debug this? Thanks for the bug report! This was a bug with the library that I fixed a while ago, but this project did not have an updated version of SIPL. It should be fixed now. You can probably use a “git pull origin master” in the SIPL folder to update the SIPL library yourself. Or you can do the entire “Download and run the example” code from the post. Great! Everything works as expected now. Thank you very much for writing all these articles about OpenCL and for creating libraries so useful for image processing!